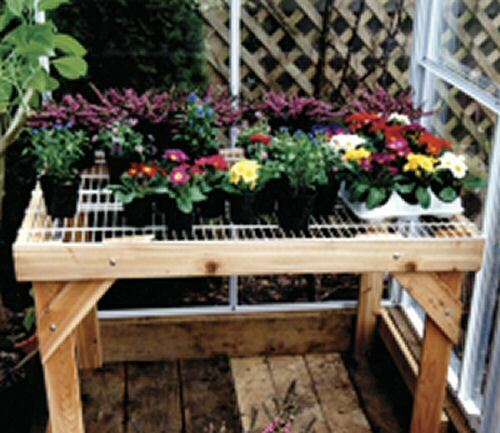 Category: Greenhouse Accessories, Greenhouse Benches, More.. This greenhouse wire top bench comes with a cedar frame and allows easy drainage. The bench measures 48" long x 24" wide or 48" long and 32" wide. Shipping charges will apply to this item if shipped separately from greenhouse. If you require additional information, please call 1-800-665-2124.